It’s great to see iOS developers revisiting past genres that have faded with the continual advancement in graphics and hardware. Platforming is one such genre whose star has faded in recent times but with the limited hardware of the mobile platforms, platform games are experiencing a mini resurgence. 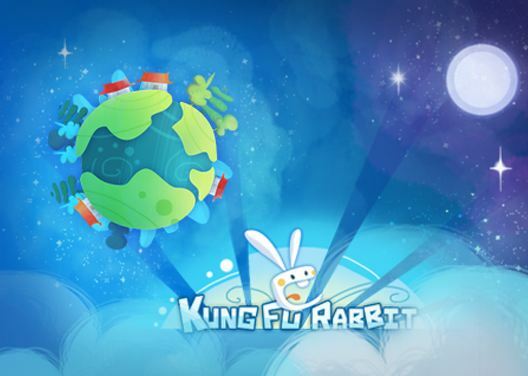 Kung Fu Rabbit is one such example : it is a simple, unabashed platforming game. You control a rabbit, trained in martial arts, out to save your kidnapped students from the clutches of Universal evil. This is not any mere mortal rabbit. This rabbit can jump over huge gaps, shimmy down walls, kill enemies with a single swipe (so long as the combatant is facing the opposite direction) and scale heights by jumping from wall to wall to wall. Each level is peppered with jumps, enemy ninjas and a black void-like substance that spells instant death. The rabbit is simply controlled by the ubiquitous left/right virtual buttons and a jump button. Once you have mastered the basic controls, the initial levels are a breeze but the difficulty level ramps up quickly. Precision jumping and timing becomes key quickly and frustration could quickly set in. 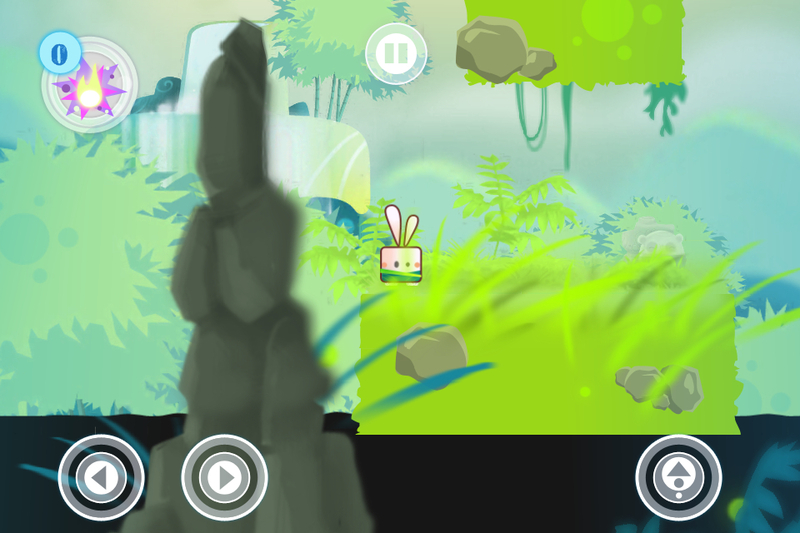 Luckily, the difficulty level is high enough but not overly so, and Kung Fu Rabbit does find a nice balance here. Within each of the 70 levels are collectible carrots, usually located in precarious positions (just above the instant death void is a favourite location) - the carrots are the in-game currency allowing you to buy usable items within the game. As always, these items can also be bought using real cash. 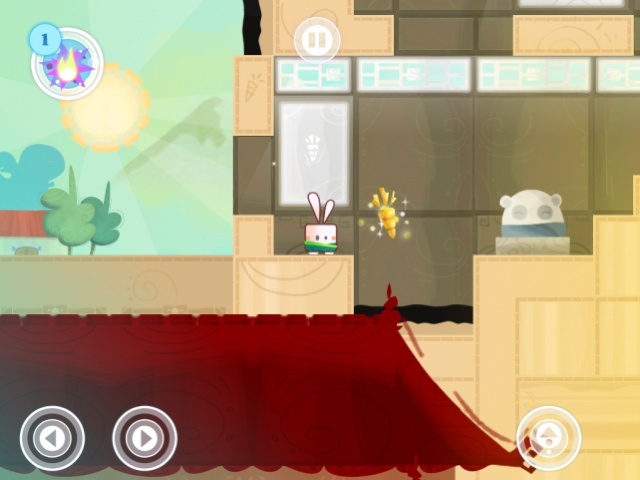 Also in Kung Fu Rabbit’s favour are the beautifully designed levels, bright and aesthetically pleasing, like an Asian water-colour. The artists have taken a lot of care to bring this 2D world to life. The gameplay, though, is the strength and the weakness. Without a strong narrative, gameplay is king and I doubt that the variety found within the levels provides enough motivation to keep playing. As the difficulty level ramps up, so does the frustration level and then Kung Fu Rabbit unfortunately becomes easier to put down. 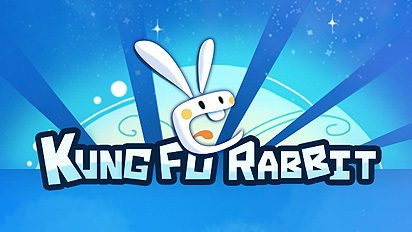 Despite this gripe, Kung Fu Rabbit is a delight to look at and so simple to play that it still is a much welcomed revisit of the platforming genre.